November 4, 2012 | 8:30 a.m. – 9:30 a.m.
Kennedy Krieger Institute (KKI), specializing in programs to treat children with severe brain disorders, completed a major outpatient facility expansion in 2010. Central to the expansion was a garden designed specifically as a therapy space and healing environment for patients, families, and staff. The garden’s orientation is critical to the function of the building and its design is the outgrowth of a strong clinical staff/design team partnership. Presenters will reveal the unique design process, garden layout, choice of materials, and initial post-occupancy experience. Presenters will share ways the garden has enhanced KKI’s therapies and some unexpected ways the garden has become integral to the Institute’s success. November 4, 2012 | 9:45 a.m. – 10:45 a.m.
Jeff Getty, RA, LEED AP, Senior Vice President, HDR Architecture, Inc.
Barbara Dellinger, MA, EDAC, AAHID, IIDA, MDCID, Associate Vice President, HDR Architecture, Inc.
Ft.BelvoirCommunityHospital is the DoD’s first military hospital to open (October 2011) using evidence-based design and sustainability in a design that supports the needs of patients, families, staff, and the community. It represents a major departure for military hospital design and was particularly challenging because it required developing and integrating new care processes and new technologies in a unified “Culture of Excellence.” Lead by the hospital’s CEO, lead design team, and senior researcher, this timely presentation will offer unique insights into the goals for the project, the resulting design, the process of activation, and the first year of experience as a living laboratory. You will hear how the team conducted each of these steps, as well as frank lessons learned for future military and civilian hospitals. November 6, 2012 | 8:00 a.m. – 9:00 a.m. 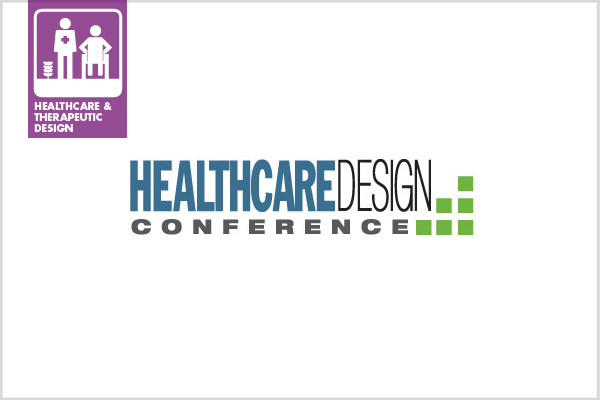 Through recommendations for the 2014 Guidelines for Design and Construction of Healthcare Facilities, The Center for Health Design’s Environmental Standards Council (ESC) proposed language and substantiating evidence for incorporating access to nature as one of the key elements in the environment of care. Quantitative and qualitative research indicates access to nature is an essential design component to the health and well-being of patients, visitors, and staff. This presentation will include an overview of the Guidelines and a look at proposed revisions to the Guidelines that will allow regulatory agencies to more strongly support the inclusion of meaningful outdoor spaces in future projects. November 6, 2012 | 9:15 a.m. – 10:15 a.m. The impact of nature, its visual impact on stress and anxiety in patients, has been well researched. However, the exact neural mechanism that triggers such response has remained unexplored. Recent technological advances in the form of fMRI have enabled the study of brain physiology, providing an unprecedented opportunity to obtain objective images of the neural fireworks. This provides important opportunities for (1) a significantly stronger evidence base; (2) finer resolution in decision making, especially involving imagery; and (3) a foundation for deeper scientific exploration. This session will present phase-1 findings of an ongoing study at the Neuroimaging Institute, TexasTechUniversity, that is using fMRI imaging to examine neural responses to sky imagery and other positive, negative, and neutral imagery based on scientific evidence from previous fMRI studies at the institute.